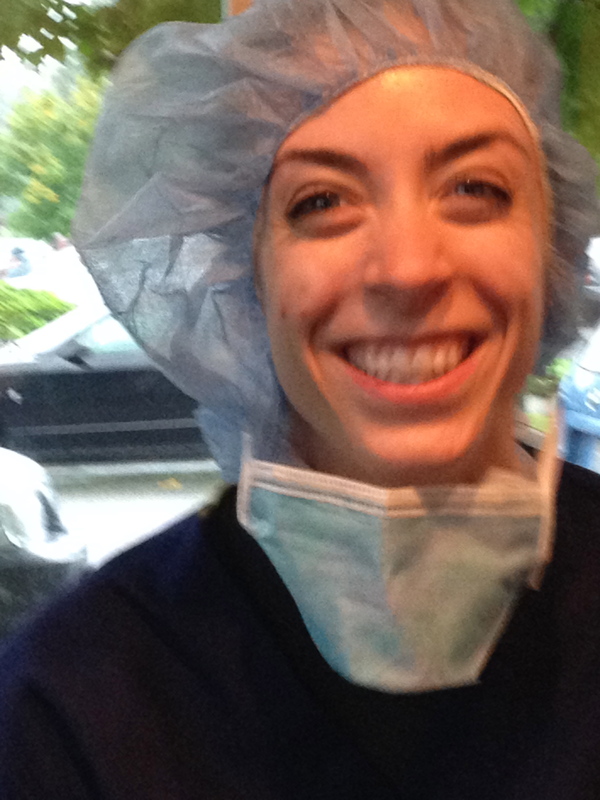 Rain Frost recently earned her Certified Ophthalmic Assistant credentials, … in addition to completing her training and WA State registration as a surgical technologist. …all in 2013, and all with a smile! There is considerable evidence that certified ophthalmic assistants, technicians, and technologists increase productivity, patient satisfaction, and practice efficiency. The dedication of working-staff to pursue certification after employment demonstrates the enthusiasm people like Rain have for our patients! Rain earned her Medical Assistant Degree (MA) prior to joining The Harman Eye Clinic. But her desire to further her education and skills has been relentless. When one of our scrub techs relocated to eastern Washington, Rain accepted the opportunity to enter an intense training program to meet the requirements of the position. This training focused on surgical technique; sterile handling of instruments, intra-operative assistance, and infection control technique. A surgical technologist, commonly known as a scrub tech, works alongside the surgeon and registered nurse during cataract surgery, lid surgery and other laser surgeries performed here at The Harman Eye Clinic. She has found that she possesses great agility in this field to the delight of her team! But she did not stop there. Rain had been ready to sit for the COA exam as a clinic certified ophthalmic assistant. Instead of leaving that degree behind, she recently sat and earned this certification also! Rain Frost represents the high caliber of our team members who are committed to the extraordinary care of our patients, staff and surgeons. Rain Frost, we salute you!! For more about services offered at The Harman Eye Clinic. Thank you for your continued confidence. We appreciate your kind words of encouragement. When you think of LASIK or Cataract Surgery, think of The Harman Eye Clinic! iLASIK Refractive Vision Correction: IntraLase bladeless flap maker; VISX S4 Excimer laser with iris recognition and tracking technology: PRK (penetrating refractive keratoplasty); CustomVue and WavePrint LASIK. LASERS: SLT (Selecta laser trabeculoplasty) for glaucoma; YAG YLI (YAG Laser Iridotomy) for glaucoma; YAG Capsolotomy for posterior capsular opacity PCO (after cataract); YAG Vitreolysis (vitreous has come forward into anterior chamber; this procedure helps it to retract); ARGON focal (specific area of blood vessels is cauterized) stops progression of blood vessels in the peripheral retina (diabetics); ARGON PRP (diffused area of blood vessels is cauterized) stops progression of blood vessels in retina (diabetes); ARGON — treating a retina tear (tach welding) creating a little scar so that the retina cannot pull away from that area prophylasis; ARGON retinopexy — creates border around detachment that has started to detach to prevent a full detachment. Dr. Ballon, Dr. Wietharn and Dr. Bajenova! 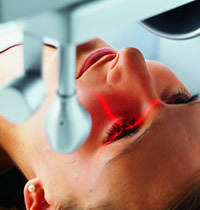 See if you are eligible for LASIK. 1) Are you able to see close to 20/20 with glasses? If answer is yes, then you may be a good candidate so far! (If no, read the last paragraph). 3) Do you have any history of serious eye disease: glaucoma, diabetic retinopathy, retina surgery? Yes, you are probably not a good candidate and read the last paragraph. 4) Have you ever worn contact lenses? Yes, you will need to be out of your contact lenses for 2 weeks for soft lenses, and a minimum of 2 weeks for hard contacts plus additional weeks for each decade you have worn contacts, before you come in for a dilated evaluation appointment. You could come in for an initial evaluation to meet your surgeon and receive motivation to stay out of your lenses! 5) Females: Are you pregnant? Yes, you are probably not a good candidate until nursing has stopped. Your vision may change during your pregnancy and the calculations for surgery will not be accurate for the long-term. It is far better to wait. If you think you may be eligible for LASIK, take a self-evaluation test. LASIK is designed with a healthy eye in mind. This surgery will not improve poor vision and could potentially make your present condition worse. It may help you to discuss with your eye doctor further reasons why LASIK may not be for you. We hope these comments have been helpful. Your comments are welcome. iLASIK: What Is It? How does it work? Why is it technology at its best? Abbott Medical Optics (AMO) provides an interview with Retired Captain Steven Schallhorn who talks about high technology iLASIK. 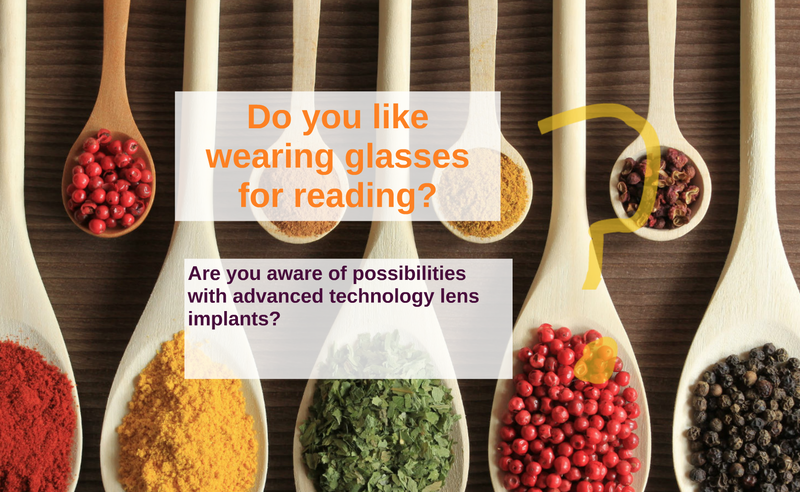 This technology is available locally here at The Harman Eye Clinic. Watch at your convenience. If you wish further information for yourself, a family member or a friend, visit our website or call us at 1.800.755.3937.